Carole Savoy is now in her 32th year of teaching dance in Sonoma County. She has extensive training in jazz and tap dance. She also taught pre-ballet for 10 years. She studied jazz for many years with Rec Russel, Alan Scofield and Lee Hudson. 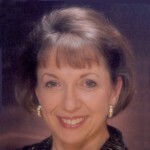 Her many tap mentors include Steve Condos, Brenda Bufalino, Dianne Walker and Cholly Atkins. Saraʼs lifelong passion for dance was ignited at age three after seeing “Swan Lake Ballet” at the San Francisco Opera House. She began studying with San Francisco Ballet and performed just four years later in their annual production of ʻThe Nutcrackerʼ. 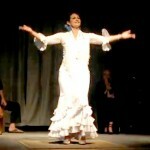 After a family trip to Spain, Sara became captivated by flamenco. The talented Sara was a founding partner and inspiring member of a Santa Rosa based Flamenco dance troupe and continues to hone her artistry with the critically acclaimed Theater Flamenco Director, Carola Zertuche and local flamenca, Melissa Cruz. Visit her website for her performance schedule. Kathy Wolf has been a belly dancer for 20 years. She teaches authentic Egyptian style belly dance and some modern Arabic and fusion. Kathy is an excellent zill (finger cymbal) player which she teaches in class, as well as veil, cane, and sword balancing. 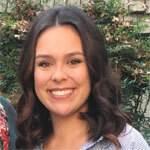 As an event producer and popular Northern California performer, she offers many opportunities for students to perform as well.